Rio de Janeiro, Brazil – Dressage competition at the Rio Olympic Games got underway at the Deodoro Olympic Equestrian Center Monday with the horse inspection. 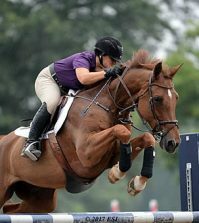 A total of 59 athlete-and-horse combinations representing 18 countries are set to compete in Wednesday’s Grand Prix, the first test in team competition. The U.S. has drawn eighth in the order of 11 teams and will be represented by Allison Brock, Laura Graves, Kasey Perry-Glass, and Steffen Peters. 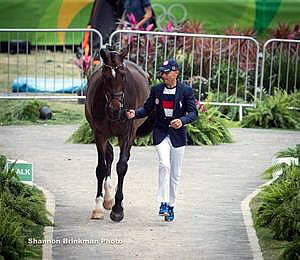 The U.S. team is led by U.S. Dressage Chef d’Equipe Robert Dover, a six-time Olympian and winner of four Team Bronze medals. U.S. team will compete in the following order. 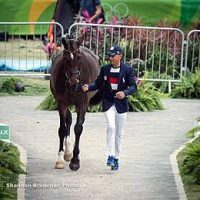 Day one, Wednesday, August 10: Leading the way for the U.S. will be Brock (Loxahatchee, Fla.), a first-time Olympian, who will ride Claudine and Fritz Kundrun’s Rosevelt, a 2002 Hanoverian stallion. This longtime partnership has been developing at the Grand Prix level over the past three years with consistent successes in the U.S. and Europe. This spring at the Adequan Global Dressage Festival, the pair capped off the season by winning the Grand Prix and Grand Prix Special in the CDI3* presented by Stillpoint Farm. Perry-Glass (Orangevale, Calif.), a first-time Olympian, will be next in the order with Diane Perry’s Dublet, a 2003 Danish Warmblood gelding. 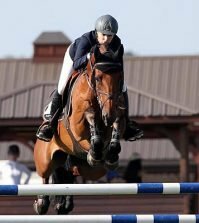 Following a solid career at the Small Tour level, the pair moved up to the Grand Prix this winter and has had remarkable success in just a few short months. The pair placed in the top three in all of its 2016 CDI outings during the Adequan Global Dressage Festival, including as members of the Gold medal-winning The Dutta Corp. U.S. Dressage Team at CDIO3* Wellington presented by Stillpoint Farm, where they also won Individual Silver. This summer in Europe, Perry-Glass and Dublet won the Grand Prix at CDIO5* Compiègne as part of the Gold-medal winning The Dutta Corp. U.S. Dressage Team. Day two, Thursday, August 11: First in the ring for the U.S. on day two of the Grand Prix will be Peters (San Diego, Calif.), a four-time Olympic veteran with a Team Bronze medal (1996). He will ride Four Winds Farm’s Legolas 92, a 2002 Westphalian gelding. Last summer, Peters and Legolas 92 represented the U.S. at the Pan American Games, winning Team and Individual Gold medals. This winter, the pair won in all of its West Coast CDI outings. Competing in Europe this summer, the pair won the Grand Prix at CDI4* Roosendaal. 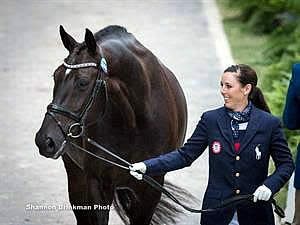 Anchoring the U.S. team will be first-time Olympian, Graves (Geneva, Fla.), riding her own Verdades, a 2002 KWPN gelding. 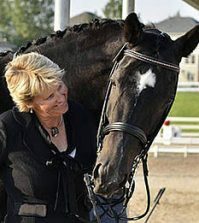 2015 was an immensely successful year for the pair as it finished fourth in its first Reem Acra FEI World Cup™ Dressage Final appearance, earned Team Gold and Individual Silver medals at the Pan American Games, and was crowned The Dutta Corp./USEF Dressage Grand Prix National Champions. Competing at the Adequan Global Dressage Festival earlier this year, the duo won both the Grand Prix and Grand Prix Special at the CDI5* presented by Diamante Farms, the Grand Prix and Grand Prix Freestyle at the CDI4* presented by Havensafe Farm, and were members of the Gold medal-winning The Dutta Corp. U.S. Dressage Team at the CDIO3* Wellington presented by Stillpoint Farm, where they also won Individual Gold. 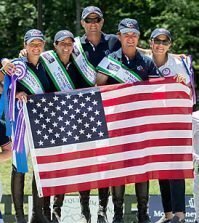 This summer, the pair was a part of the Gold-medal winning The Dutta Corp. U.S. Dressage Team at CDIO5* Compiègne, and the Silver-medal winning U.S. team at CDIO5* Rotterdam where they also topped the Grand Prix Special. The first test in team competition, the Grand Prix, runs August 10-11. The second and final test of team competition, the Grand Prix Special, will follow on August 12. Dressage competition concludes on August 15, with the Grand Prix Freestyle.